Muzoon Almellehan is one of nearly 5.3 million refugees who have been forced to flee Syria as a result of the civil war there. At just the age of 14 in 2013, Muzoon and her family packed everything into one small bag and left the big city. After fleeing the warzones, Muzoon became a refugee in the Za’atari camp in Jordan. In this time, she stepped up to become a voice in the advocacy for a basic standard of education accessible to all, particularly for girls. In 2017, UNICEF announced Muzoon as its newest – and youngest – Goodwill Ambassador at just 19 years old. The appointment makes Muzoon the first person with official refugee status to become an Ambassador for UNICEF. Muzoon, who received support from UNICEF while living in Za’atari refugee camp in Jordan, follows in the footsteps of the late Audrey Hepburn, a Goodwill Ambassador who was also supported by UNICEF as a child. Her most recent placement in Chad, where conflicts inflicted by Boko Haram negatively affect many communities, revealed to her the parallels in the realities of young people and the struggle to obtain a quality education. With 25 million children of primary and secondary school age displaced from the classroom in Chad, her stance for equality speaks loud and clear to the progress they are yet to make to ensure education rights are achieved. 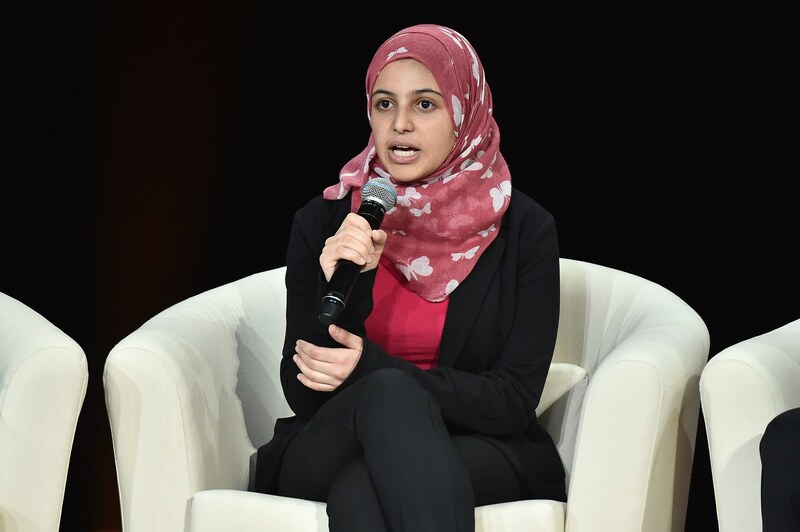 We are inspired by Muzoon’s determination to make a stance and change in education. Education is the most powerful weapon which you can use to change the world. Follow Muzoon’s journey via her instagram and twitter. Do you know other young indvidiauls achieving incredible things? Comment below!